Horse & Agriculture Magazine, LLC - Horse & Agriculture Magazine Events! 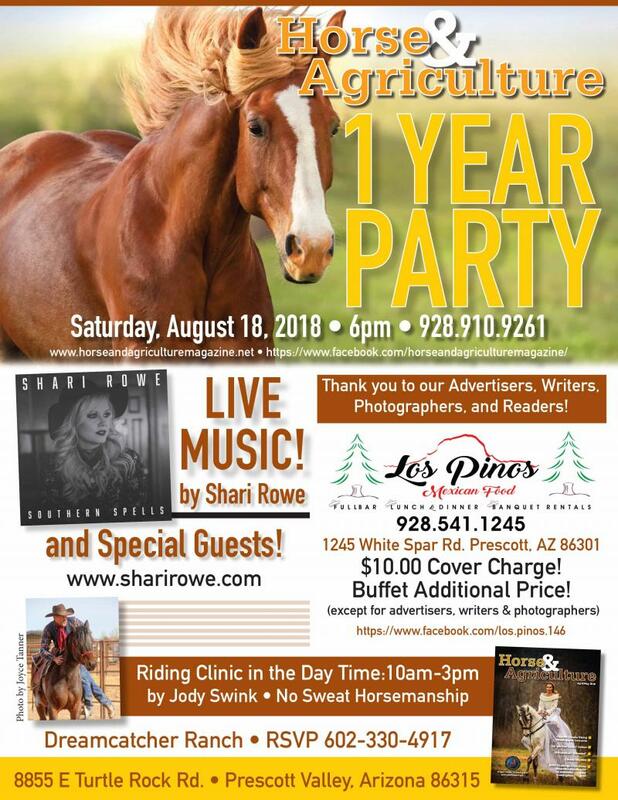 If you're an advertiser please RSVP 928-910-9261 by 8/1/2018 to reserve a table? Your dinner, and admission is on Horse & Agriculture Magazine. If you're a reader, the cost is $10.00 cover, +$15.00 for the Chef Buffet created for this party! Limited Seating! RSVP by 8/5/2018. Riding Clinic please contact Jody Swink 602-330-4917, you may bring your horses. Limited space. RSVP.